If there is one thing that Jord’s Whole30 taught me, it is that snacks are damn HARD on that thing. I know, I know, you aren’t technically supposed to snack much on Whole30, but that wasn’t the case for him. Eating only 3x a day doesn’t work for everyone, especially Jord who really does get hungry in between meals. I always have snacks in my pockets or bags for us when we are walking around or running errands. Typically it’s some sort of clean protein bar or something easy. But not many of the bars are Whole30-friendly or approved so that made life a bit challenging. Many have honey or some sort of added sweetener to them. There are a couple bars that are Whole30-approved but honestly spending $3 on a bar all the time gets old. 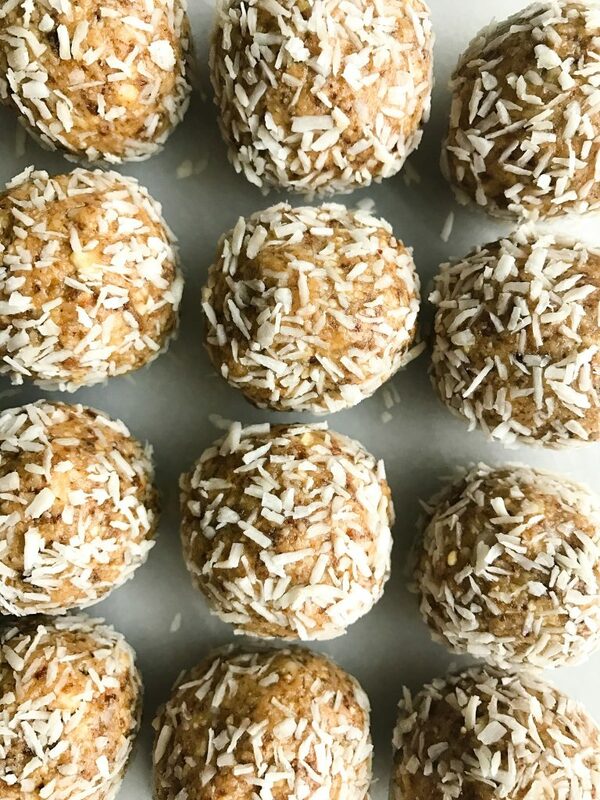 So I started making these Nutty Coconut Raw Bliss Balls, and now we STILL make them. Even after J’s Whole30. They are so easy to make and he is obsessed. These balls satisfied his sweet tooth cravings and were the best hold me over snack before dinner to keep at his desk. Plus they are really versatile because you can sub any nut or seed or even nut butter you’d like. 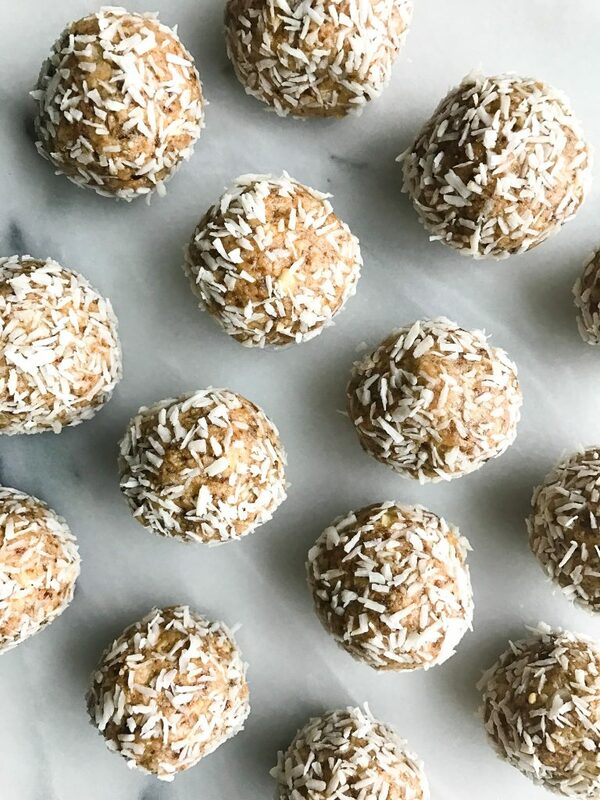 I wanted to make them full of healthy fats, fiber and protein and these ingredients were seriously on point. I even was eating them even though I could have snacked on anything! You can absolutely double or triple this recipe to make a huge batch in the beginning of the week or even a few weeks out. They still really well in the freezer! Get creative and spice things up with your go-to nuts, nut butters etc.! 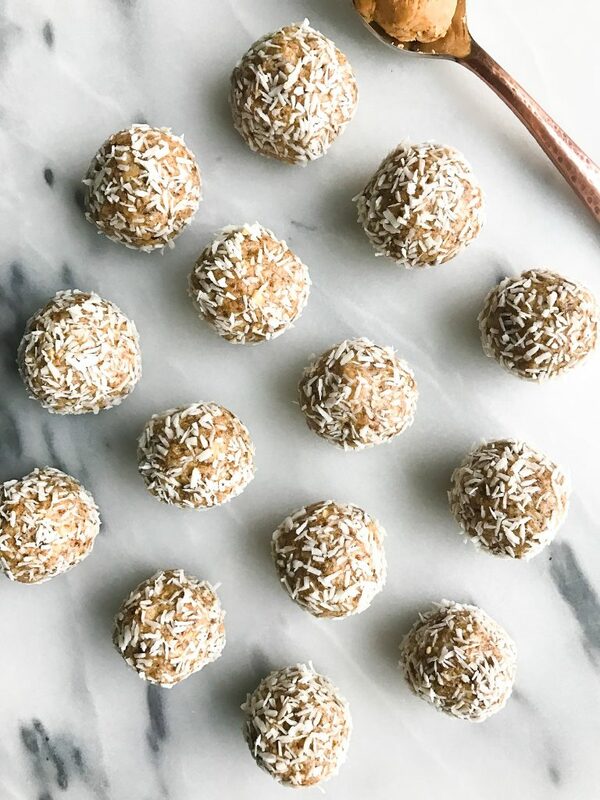 I’m a huge fan of snack balls and love finding new recipes for them! These sound delish! These look delish – I must try them. Mmm… These sound like digging into a doughy ball of cake and cookie mixed together. Can you share the nutritional info per ball? These are SO good! What kind of food processor do you have?